Actually I’d like to present this article in a few installments. Otherwise, in one go I’d not be able to finish it off, moreover, there will be gross injustice to the whole subject. This question should be answered in the very beginning. What would you like to do? Below, there will be a hyperlink to the page, where they can register their username, password etc. Next after registering they will be asked to Log in. After logging in, they can go to the member’s page. That is all I wanted to do. Where you’ll keep your users records? You can build a Databese, say the name is Users and using aspnet_regsql.exe you can add user and membership tables there. 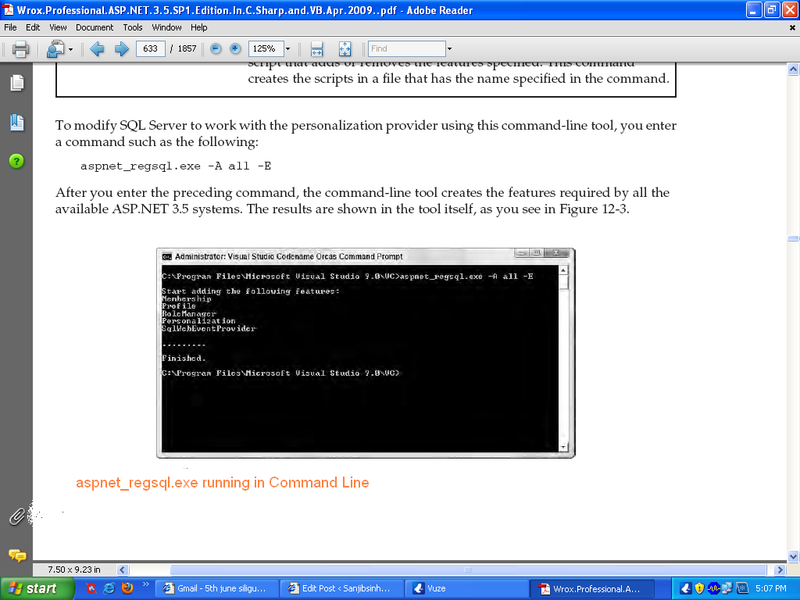 Go to the command prompt of VS 2008. Press enter. Membership, Profile and other classes and related tables will be added to the Databse Users. 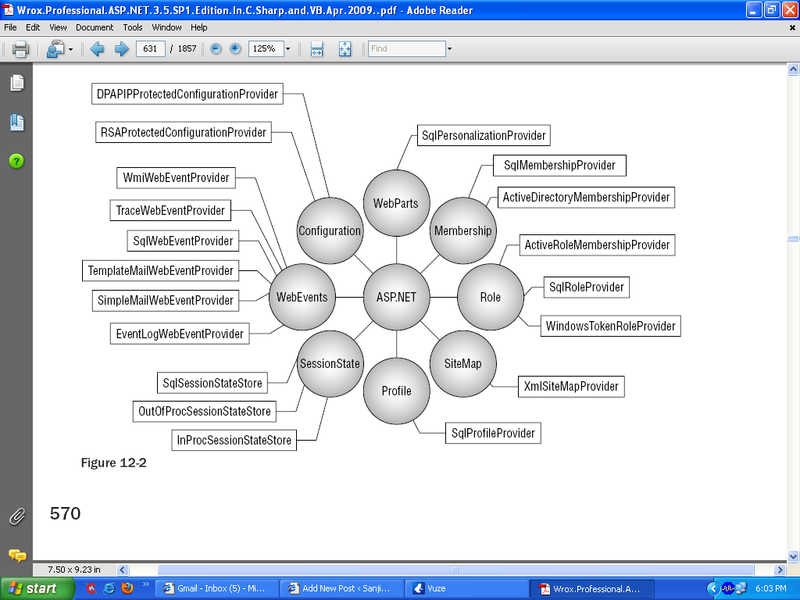 What it’s saying is, ASP.NET provides a large number of providers. Now all you have to do is setting up your SQL Server 7.0, 2000, 2005, or 2008 to work with this providers. In the beginning, I told that SQL Server 7.0, 2000, 2005, or 2008 will work as your back end datacenter.